Businesses wanting professional assistance in controlling the scope, costs and timescales of their software project. 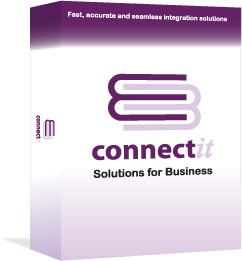 Businesses wanting to ensure that the software project they have commissioned is delivered as efficiently as possible. Businesses wanting to ensure that they have trained backup ready to help with the applications they use day-to-day. We draw on many Project Management techniques to ensure that both the development team involved and customers work to their highest potential and efficiency. With a firm foundation of experience in delivering large high profile £2m+ and small <£1000 projects and drawing on techniques such as Prince2, ITIL, CMM, AGILE and “extreme” programming, Hilltops IT has its own interpretation of a Project Lifecycle to ensure that the solid foundation of Project Management, Support and Quality Management make the transition from the original idea to implementation as efficiently as possible. The team at ConnectIt Software / Hilltops IT is skilled or has knowledge in most of the common Project Management methodologies and techniques. Depending on the size of your project, we will agree the most appropriate level of project management involvement. Not exclusively, but we frequently find when dealing with small businesses that they need to deliver value back to their business as soon as possible. For that reason, we’ll often adopt an agile / extreme programming model which we find reduces the high ceremony of models such as Prince2 of those based on the Capability Maturity Model (CMM). We find that agile / extreme programming techniques provide a framework for you to have the flexibility you need but while still having a controlled development approach. We think of “quality” a being at the very foundation of what our company provides. We are 100% committed to delivering you the highest standards in all of our services. To achieve this, we provide carefully crafted documentation, trained project staff, a rigorous testing approach and high levels of communication. When we look at quality, we not only look at the quality of the product/service itself, but even more so at the quality of the processes delivering the service. “Quality” is a lifestyle, a fundamental philosophy ingrained in all aspects of our company activity. We constantly strive to improve all development processes, taking into account the most up to date thinking in the field of quality and project management. We don’t think of support as something that comes after the software is delivered. We pride ourselves in providing constant ongoing support to our customers throughout a project – whether it’s questions on the functionality of the solution we’re working on, determining how it will fit into your business process, a technical question on how it will fit into your infrastructure or about something completely different! We’re always happy to provide support to keep you informed, help you understand and make the right decision. We provide practical support over the phone, remotely through desktop screen sharing technology or scheduled visits as circumstances dictate.